Agreed. I think this one is actually superior to the first. Thanks for the comment, I’ve heard a lot of people saying that it surpasses the first one. Nice review Vinnie. Can’t say I liked this more than the original, but you know what? It was still fine and well-worth the watch, especially since I can’t wait to see what goes down next in these upcoming movies. Thanks Dan, I was thinking the same thing when the movie ended. I’m now super excited for the next film in the series. Nice review – the only one I’d seen so far was this one from the onion (http://www.theonion.com/video/the-onion-reviews-the-hunger-games-catching-fire,34637/) – which was funny, but not terribly informative! I’m a big Stanley Tucci fan, glad to hear he delivered yet again and it sounds like it was well cast all around. Thanks, the cast is really good in this one and the characters are interesting. It was probably my favourite of the 3 books, not sure who I pictured playing Katniss when I was reading it a few years ago but I think Jennifer Lawrence has been an excellent choice. Great pic of Katniss there! Thanks for your comment, that ending has really got me excited about what to expect from the next movie. Your welcome and so am I! Really great review. I especially liked the way you compared their directing styles. I can remember seeing Josh Hutcherson in Bridge to Terabithia so great to see him with such a high profile role. 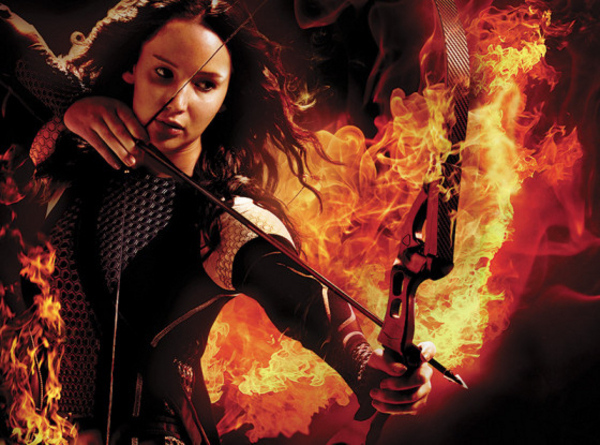 But yes, I doubt anyone in Hollywood could play Katniss better than Jennifer Lawrence. Thanks, I can’t imagine anyone else playing her now. There’s a reason I didn’t read the book and why I won’t see the movie. I don’t like the story. I didn’t like Lord of the Flies either. Some stories just bother me. This is one. But it’s a great review. Thanks for the comment, sorry to hear you don’t like the series. Thanks for the comment, Jennifer Lawrence is so good in these movies. Great review. It’s going to be very interesting to see what they do with the third one because I found the book a lot weaker than the first two. Thanks Abbi, I’m curious to see the third one as well. Nice review! Tucci is always great. So nice to see Jenna in films again. I always forget she was in Stepmom haha. She definitely stole the film for me, I loved her. Yeah, Jena Malone was a highlight for me as well.